The Moomin Family. 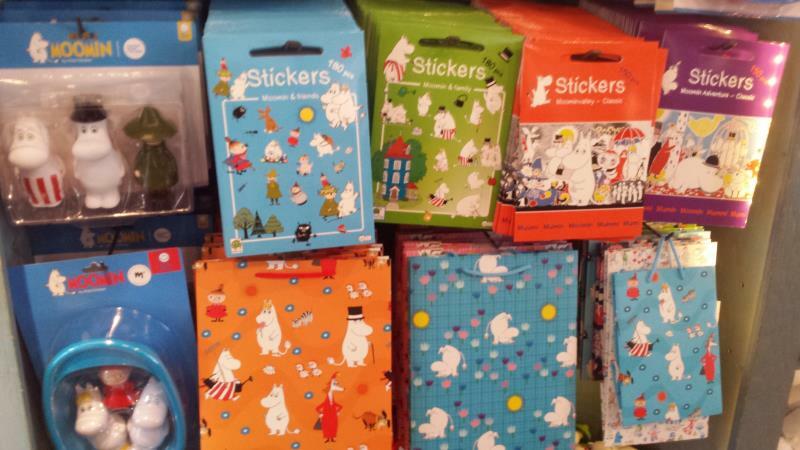 © Moomin Characters™. 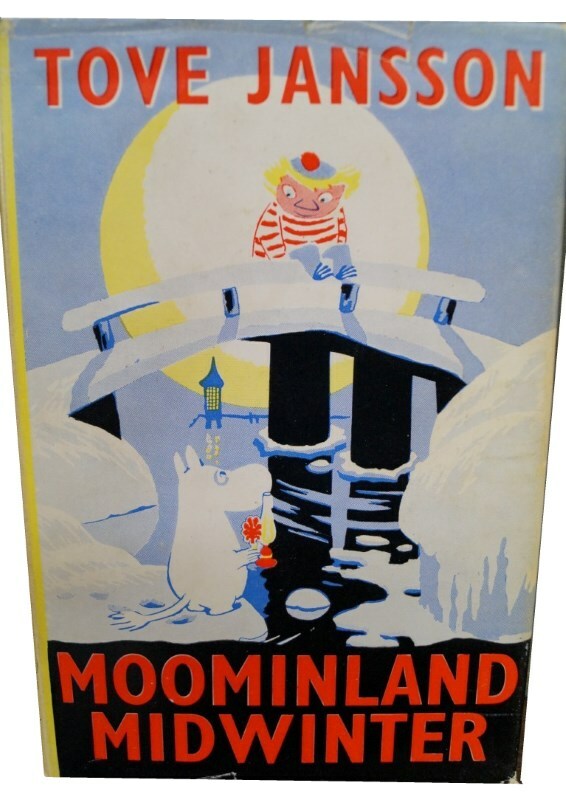 The first Moomin book was published over 70 years in 1945 and the stories and character have since inspired puppet animations, TV shows, animated series, collectables, collectors items, a museum, Moomin shops, Moomin cafes and even a Moominworld theme park. For collectors of Moomin collectables and merchandise there is especial interest in the Moomin books, Moomin art, vintage Moomon items and the Moomin mug. The Moomin characters and Moominworld were the work Finnish-Swedish writer and artist Tove Jansson. 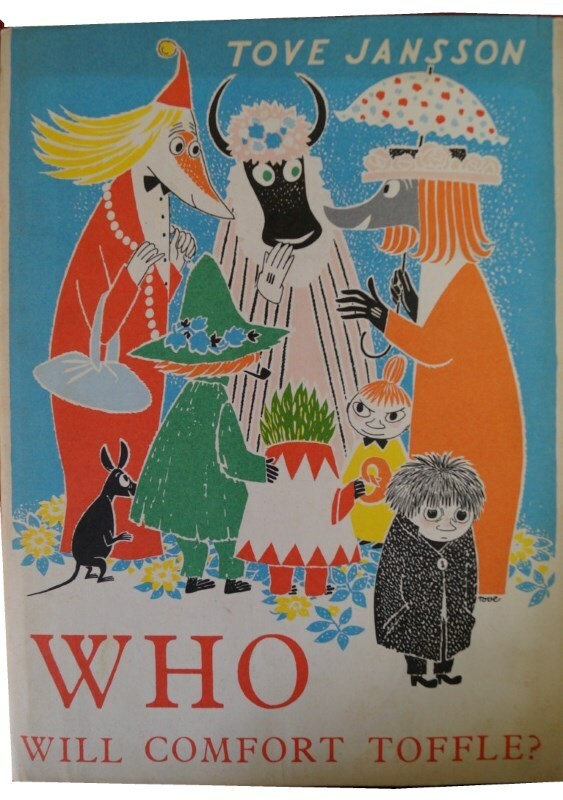 Her stories about the adventures of Moomin family (Moomintroll, Moominpappa, Moominmamma and friends) of white and roundish trolls with large snouts have delighted generations and interest continues today. Tove Jansson was born in Helsinki in 1914 into an artistic family. 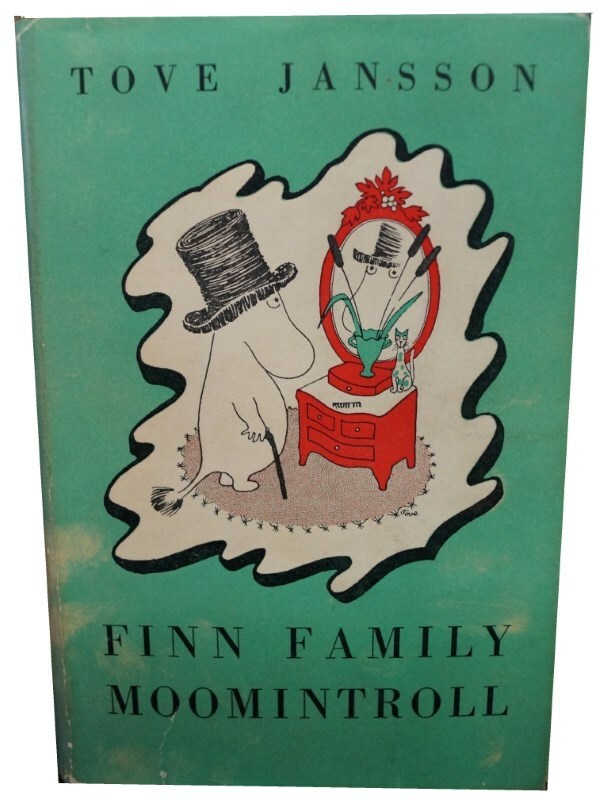 She studied art from 1930 to 1938 in Stockholm, Helsinki and then Paris and her first Moomin-like character appears in the magazine Garm in 1943. 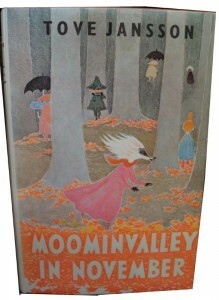 Her first Moomin book was published in 1945 by Söderström & Co – The Moomins and the Great Flood. The first book was a minor success but her next two books Comet in Moominland and Finn Family Moomintroll, published in 1946 and 1948 respectively, saw high sales and assured her fame. 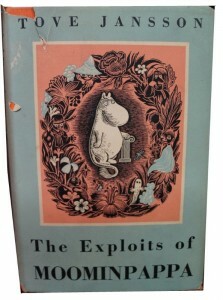 Most of the Moomin books were translated into English in the 1950s to the 1970s. 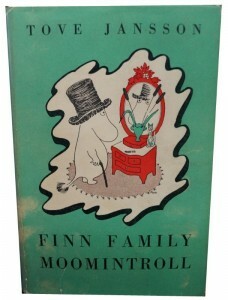 The first book Moomins and the Great Flood was only translated into English in 2005 to mark its 60th Anniversary. 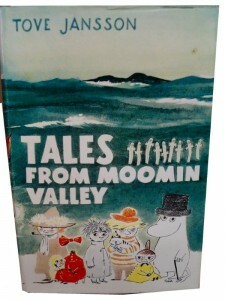 The modern interest in Moomins coincided with the release in 1990 by Telecable of a 104 half-hour Moomin animations names Tales From Moominvalley. 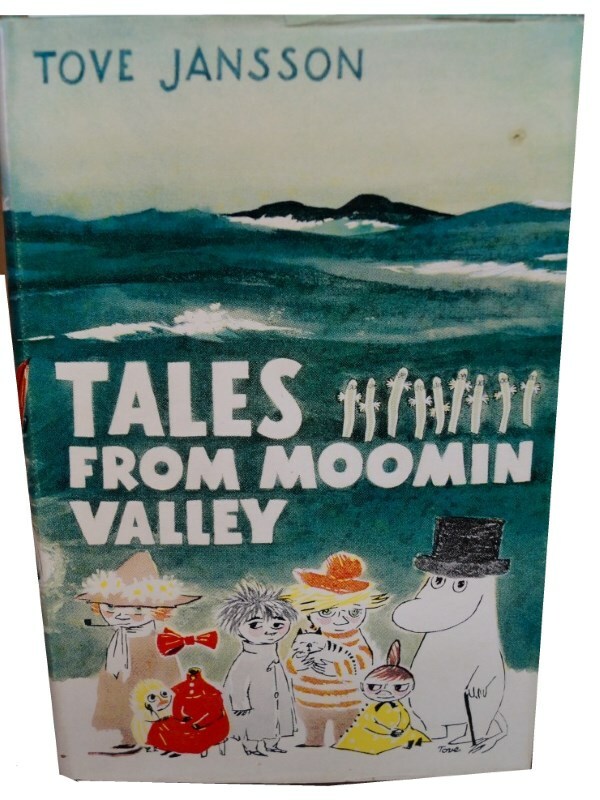 The series was produced in Japan by Dennis Livson and Lars Jansson and Tales From Moominvalley was eventually sold to over 60 countries. 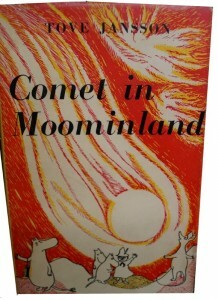 The series was followed by full-length movie Comet in Moominland. 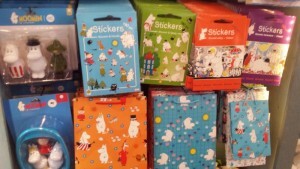 The success in Scandinavia and principally in Japan created what has been term The Moomin Boom (muumibuumi in Finnish). 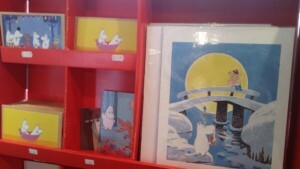 Tove Jansen write 9 books and 5 picture books. The original publication date is given below along with English title. 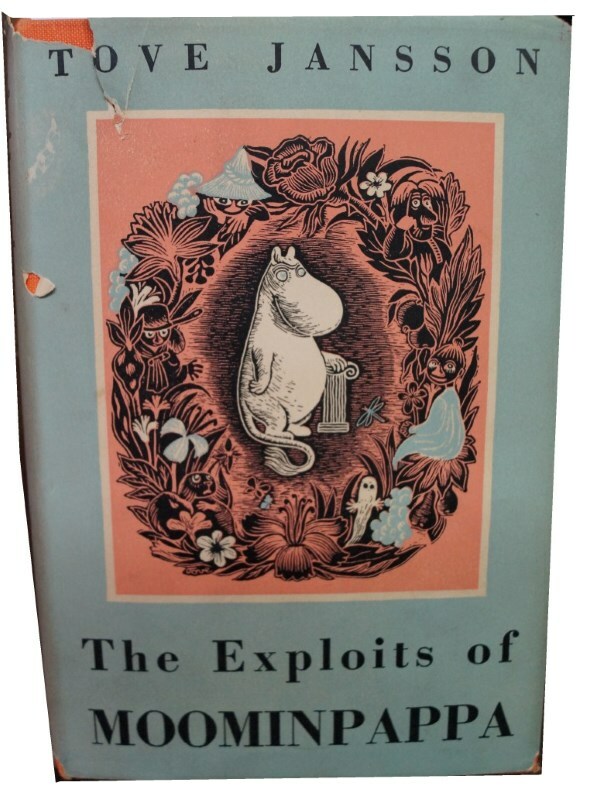 As well as books the Moomins also appeared in comic strip form in a number of papers all over the world originally in 1947 in the children’s section of the Ny Tid newspaper, and internationally to English readers in 1954 in the London’s The Evening News. 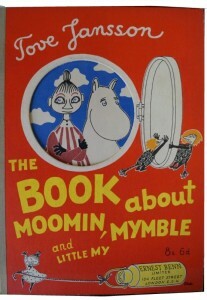 The Moomins cartoon strip reaches up to 20 million readers daily in over 40 countries. 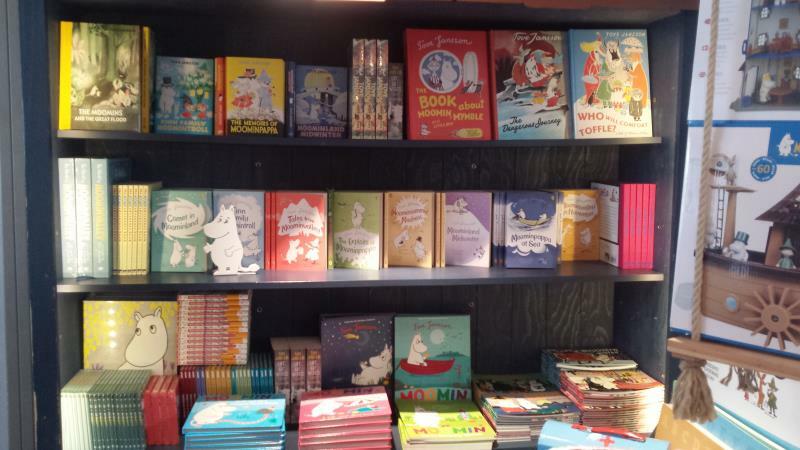 Tove Jansson drew and wrote all the strips until 1959. From 1960, Tove’s brother Lars Jansson drew the strip until 1975 when the last strip was released. Other than books one of main areas of interest is collecting Moomin Mugs (collecting moominmugs). 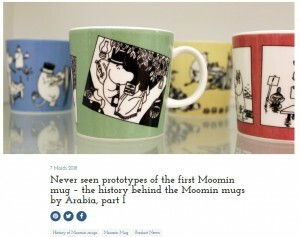 Arabia have been responsible for the Moomin mug since 1990. Arabia are a Finnish ceramics company, founded in 1873 by Rörstrand, who specialize in kitchenware and tableware. 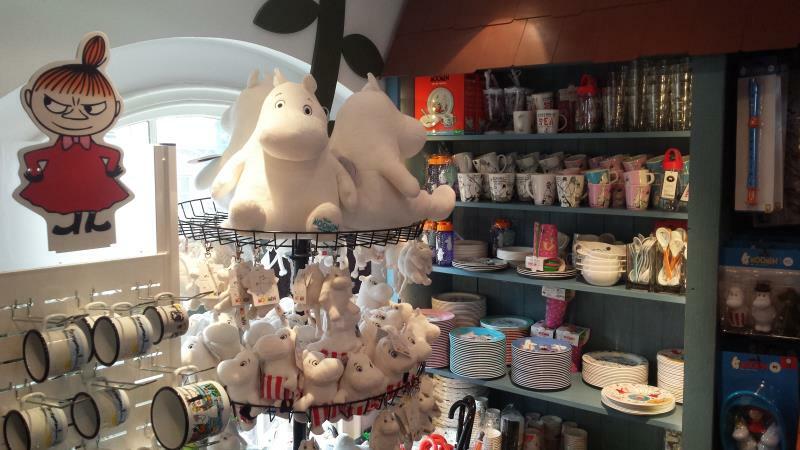 The first Moomin mug was released in 1990 and began a series entitled Teema. The Mug Green is also known by the name The Green Comic Strip. 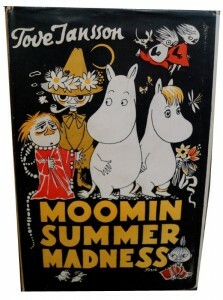 The original artwork featured on the mug is from Tove Jansson’s comic strip #8 Moomin Builds a New Life (1956). Tove Slotte was the graphic designer responsible for Arabia’s Moomin products. He used the images from the strip more or less as they were, only removing the speech bubbles. In the same year Mug Blue, Mug Rose and Mug Yellow. 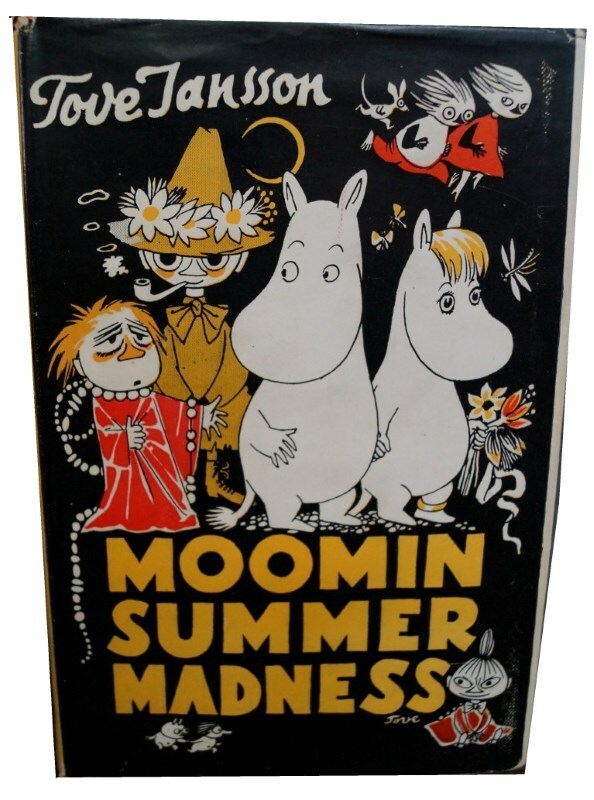 The Mug blue is also known by the name Painting Moomins, the mug rose is also known by the name Rose Comic Strip and the fourth Moomin mug is also known by the name Mug yellow, Moominmamma. 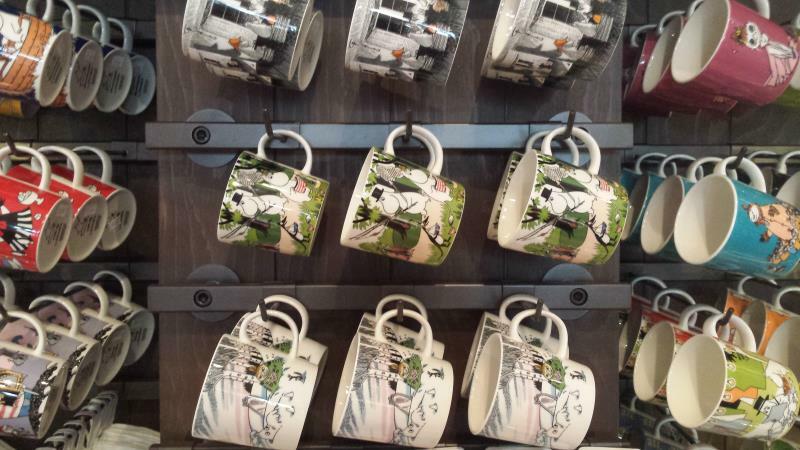 The early Arabia Moomin mugs are extremely collectable with prices for perfect example of Mug Green being over £400. The other colours also fetch prices from £100 to £300. 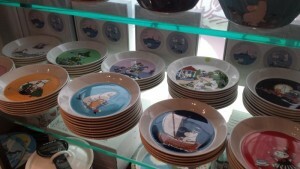 There is an excellent series of articles on the history behind the Moomin mugs on the moomin.com blog. 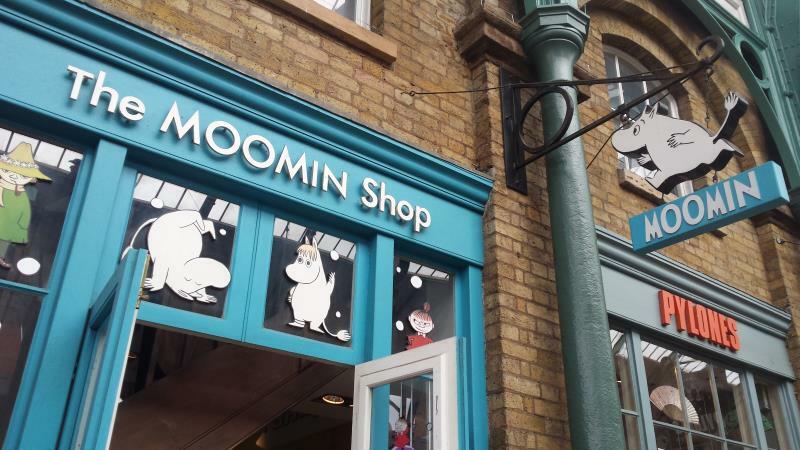 A visit to a Moomin shop, to their website or a look on ebay will show the wide variety of collectables, books, merchandise and household items that are available. 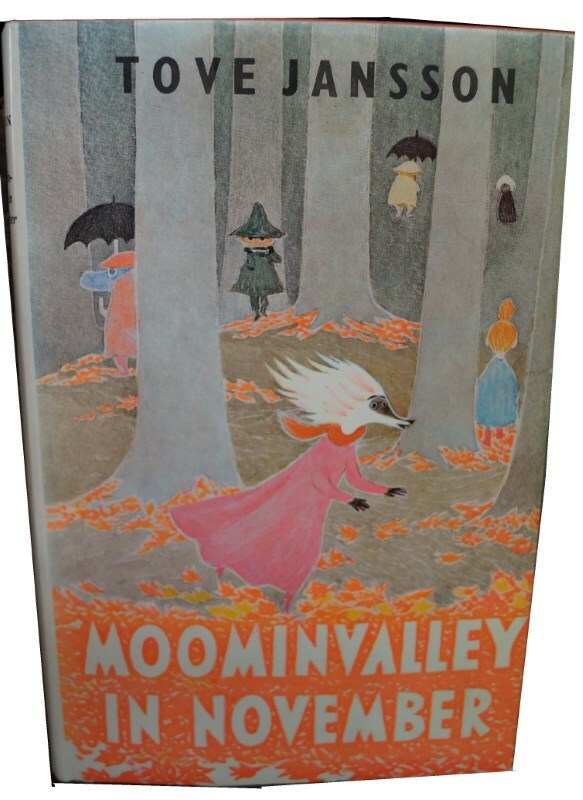 If you have not read a Moomin book do go and find the recent special editions of the original books and immerse yourself in this wonderful fantasy world. 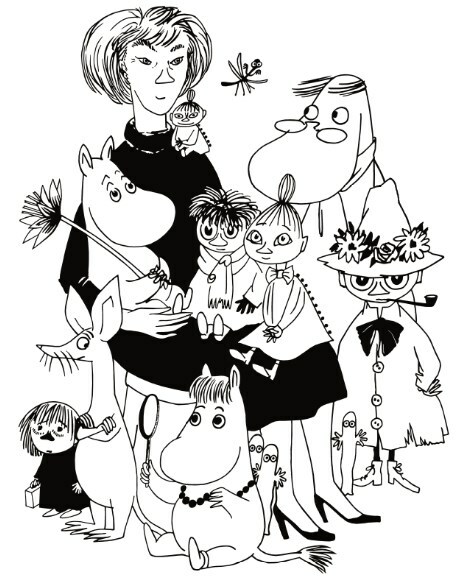 Tove Jansson with Moomins cartoon. 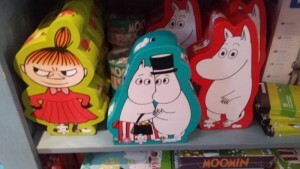 © Moomin Characters™.